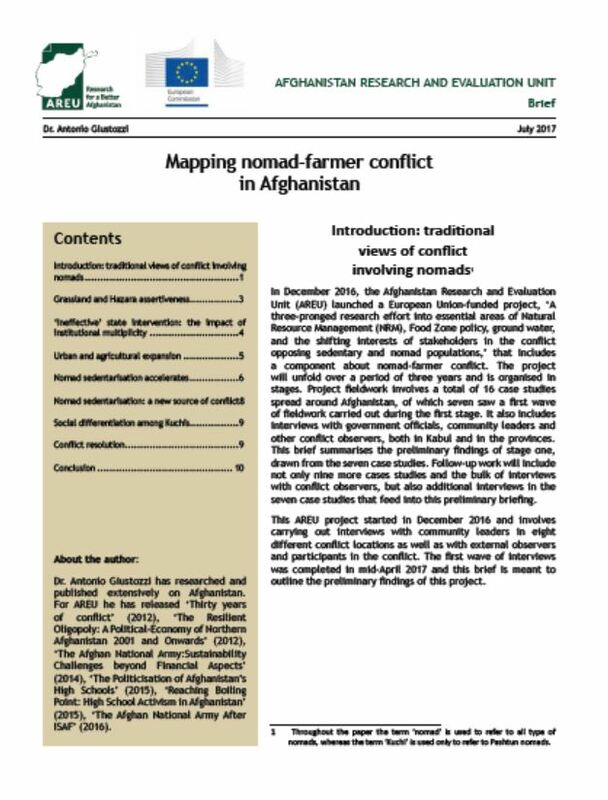 In December 2016, the Afghanistan Research and Evaluation Unit (AREU) launched a European Union-funded project, ‘A three-pronged research effort into essential areas of Natural Resource Management (NRM), Food Zone policy, ground water, and the shifting interests of stakeholders in the conflict opposing sedentary and nomad populations,’ that includes a component about nomad-farmer conflict. The project will unfold over a period of three years and is organised in stages. 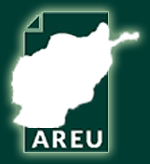 Project fieldwork involves a total of 16 case studies spread around Afghanistan, of which seven saw a first wave of fieldwork carried out during the first stage. It also includes interviews with government officials, community leaders and other conflict observers, both in Kabul and in the provinces. This brief summarises the preliminary findings of stage one, drawn from the seven case studies. Follow-up work will include not only nine more cases studies and the bulk of interviews with conflict observers, but also additional interviews in the seven case studies that feed into this preliminary briefing.